The Sackler Trust announced it is pressing pause on new philanthropic contributions Monday after a domino effect of prestigious art institutions parting ways from money connected to members of the family behind Purdue Pharma. “I am deeply saddened by the addiction crisis in America and support the actions Purdue Pharma is taking to help tackle the situation, whilst still rejecting the false allegations made against the company and several members of the Sackler family,” trust chair Theresa Sackler said in a statement. U.S. museums have faced staged Sackler-related protests, many of them led by activist and artist Nan Goldin, for years. 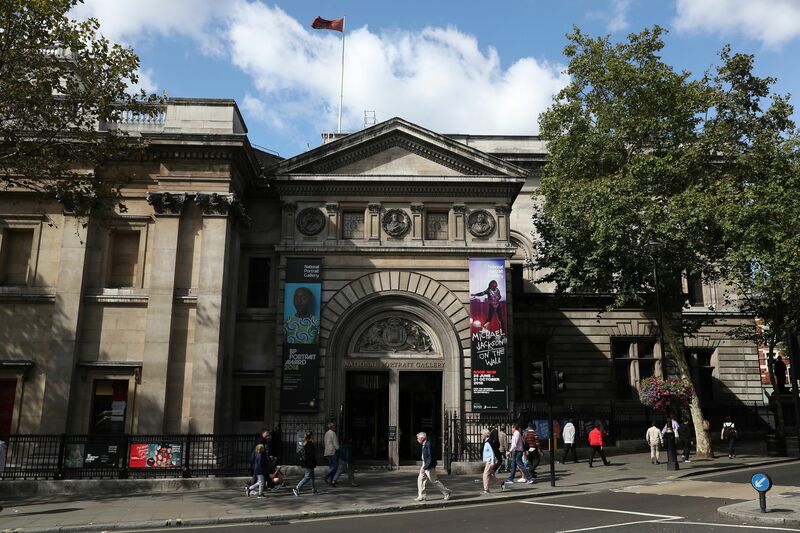 The news comes after the United Kingdom’s National Portrait Gallery and Tate art galleries cut ties with Sackler money last week, and the Solomon R. Guggenheim Museum in New York announced Friday it would not be taking any new donations from the Sackler family. I remain fully committed to all the causes the Sackler Trust supports, but at this moment it is the better course for the Trust to halt all new giving until we can be confident that it will not be a distraction for institutions that are applying for grants. The latest suit against Purdue Pharma and Sackler family members was brought by a coalition of 500 cities, counties and Native American tribes on March 18. The suit alleges that while the Sackler family has an estimated net worth of $13 billion, the opioid crisis cost the U.S. over $504 billion as of 2015. The suit also links the opioid crisis to allegedly aggressive and even deceptive marketing of prescription opioids by Purdue Pharma and members of the Sackler family. Stateside, several institutions have reconsidered their links to the Sackler family. The Metropolitan Museum of Art told TheDCNF it is still reviewing its gift acceptance policies in light of revelations about members of the Sackler family after first informing TheDCNF of a possible change in January. U.S. museums have faced Sackler-related protests for years. Photographer Nan Goldin’s organization Prescription Addiction Intervention Now (PAIN) targeted recipients of Sackler money like the Metropolitan Museum of Art with demonstrations. In March 2018, she and other activists littered the Met’s Sackler Wing with pill bottles and chanted, “Sacklers lie, people die.” The Met’s Sackler Wing houses the famous Egyptian Temple of Dendur. The wing was named after the Sackler family in 1974, years before OxyContin hit the markets in 1996. Goldin discussed her fight to hold institutions accountable for displaying the Sackler name or taking Sackler family with TheDCNF in January after the Met told TheDCNF it was reviewing its gift acceptance policies after revelations about members of the Sackler family. TheDCNF began investigating the Sackler family’s charitable donations in fall 2017 in the series “American Cartel” and found no evidence the family was using their vast personal wealth to help victims fight opioid addiction. The first part of the series can be read here.